During a public hearing on Thursday, House Intelligence Committee chairman Adam Schiff presented all of the ways that members of President Donald Trump’s inner circle colluded with the Russians both during and after the 2016 presidential campaign. The hearing was held less than one week after special counsel Robert Mueller issued a report on potential collusion between the Trump campaign and Russia. The report has not yet been given to Congress, but Attorney General William Barr presented a four-page summary of the report that noted that the special counsel does not plan to issue any further indictments. 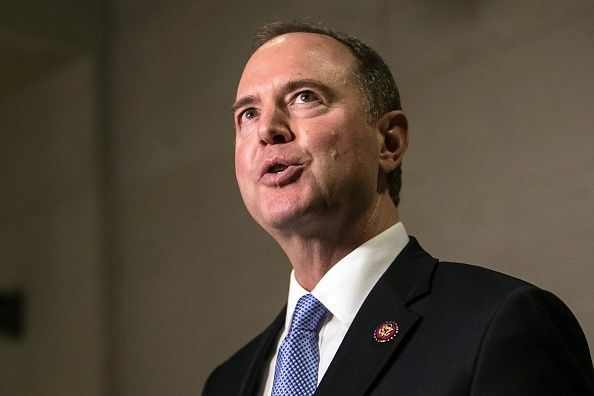 Nevertheless, Schiff said Thursday that the evidence collected by the special counsel’s office demonstrated that President Donald Trump and his associates had behaved in a way that was unethical, corrupt, and unpatriotic. “You might think it’s OK that the campaign chairman of a Presidential campaign would offer information about that campaign to a Russian oligarch in exchange for money or debt forgiveness. You might think that’s OK, I don’t,” Schiff continued, referring to reports that Manafort had offered briefings on the campaign to Russian oligarch Oleg Deripaska. “You might think it’s OK that that campaign chairman offered polling data to someone linked to Russian intelligence. I don’t think that’s OK,” Schiff added, referring to court documents demonstrating that Manafort had met Konstantin Kilimnik, a suspected member of Russian intelligence, in Madrid, Spain and gave him polling data for the 2016 presidential election. “You might think it’s OK that the President himself called on Russia to hack his opponent’s emails, if they were listening. You might think it’s OK that later that day the Russians attempted to hack a server affiliated with that campaign. I don’t think that’s OK,” Schiff continued. “You might think it’s OK that the President son-in-law attempted to establish a secret back channel of communication with the Russians through a Russian diplomatic facility. I don’t think that’s OK,” he added. The hearing grew heated shortly after Schiff’s speech when the chairman refused to yield to allow Republicans to respond. Nine Republicans on the House Intelligence Committee singed a letter calling on Schiff to resign and presented it at Thursday’s hearing.